The Cold Steel Storm Cloud provides all of the performance of a big tactical blade in a low key design that will not attract too much negative attention. 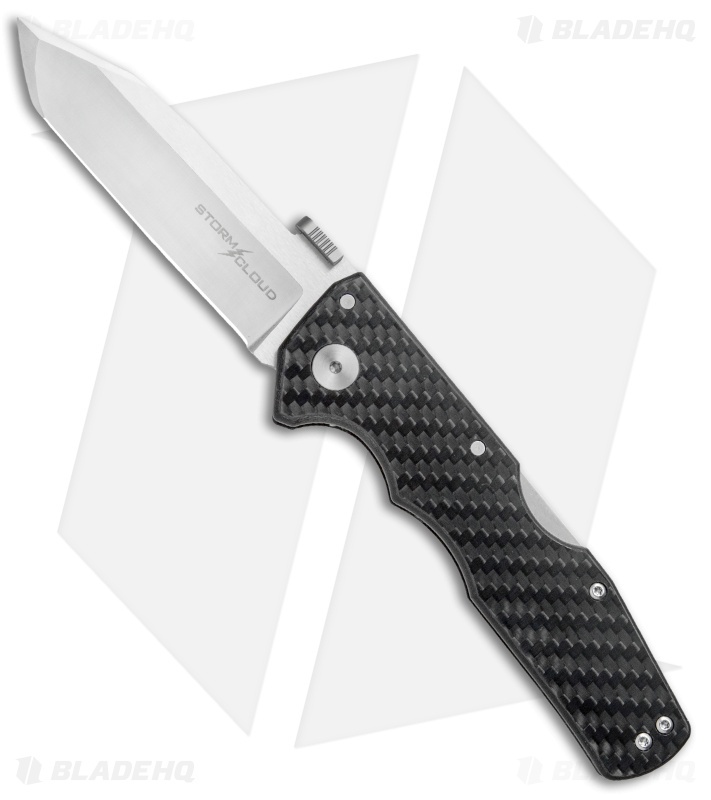 It sports a modified tanto blade with a central tip for increased accuracy and effortless penetration. 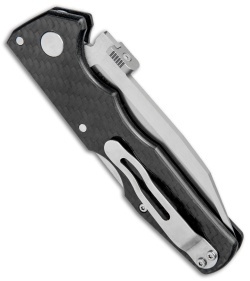 The blade is accentuated by handsome G-10/carbon fiber scales with Cold Steel's unstoppable Tri-Ad locking system. A reversible stainless steel pocket clip rounds out the solid EDC design. 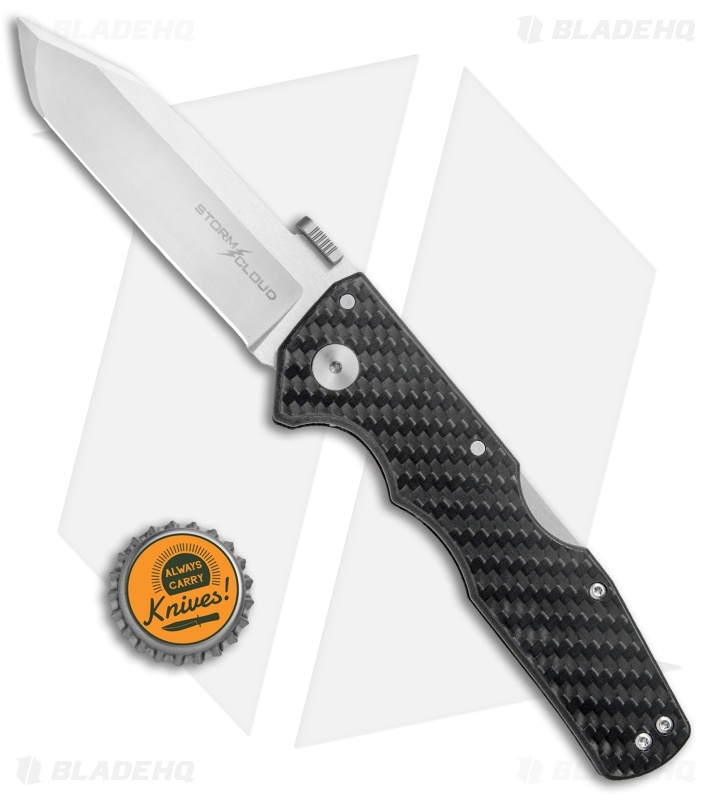 American made CPM-20CV steel for a sharp, durable blade edge that resists corrosion and wear. Carbon fiber/G-10 handle scales provide a sophisticated look that transitions effortlessly from the office to the field. 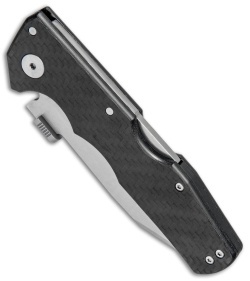 Reversible pocket clip and thumb plate opener offer fully ambidextrous use. The knife is smooth and a free dropper out of the box. Razor sharp. The clip has perfect tension not too tight like some cold steels. The insides of the handles are carbon fiber as well giving a jeweled effect. Well balanced center of gravity right in the center. Only gripes are some light pits on the scales and gaps on the backspring and handle. Other than that make it solid carbon fiber and it would have been 5/5.